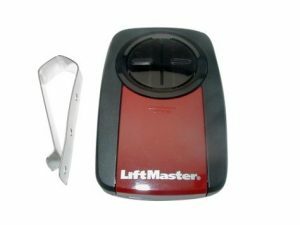 Press and release the square colored “Smart” button on your garage door opener motor head in the garage. The Smart button indicator light will glow steady for 30 seconds. Learn buttons are located on the motor head near the terminal strip for wire connections. Release the remote button and test by pressing again to activate the door. Press and hold the program button on the hand held remote until the LED on the front of the remote turns on. Exit the remote programming by pressing and releasing any button other than the one you’re programming on the remote. Go to the garage door motor head and press the “Smart” button. 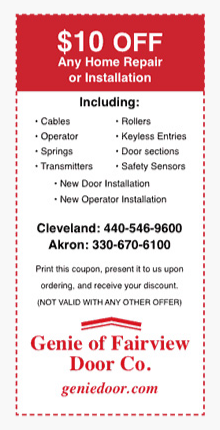 Press and hold down on the remote control button programmed in Step 2 until the garage door opener lights blink, or 2 clicks are heard, or for 4 seconds. Release and press again to test. Models 375LM and 375UT Universal Remotes Programming Instructions for dip switch remotes. Slide open the bottom front of the universal remote shwon to expose the dip swithes and program button. The 375LM can be accessed from the back. Match the dip switch settings with the settings on your existing remote or the receiver on the ceiling in the garage. To find the receiver look for the floppy antenna wire. Find and press the Program button on the remote trasmitter until the LED lights up. Select one of the two remote buttons on this remote and press this button only for the number of times shown in the Chart D, corresponding to your older remote or the receiver in the garage. Press the program button on the remote to turn off the programming mode. Test the button programmed to see if it operates your door.